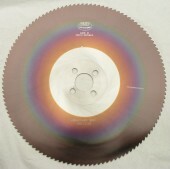 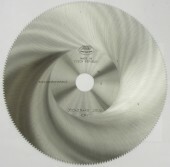 The video showing the HSS CutOff saw blades you find on channel YouTube, or in our video gallery. 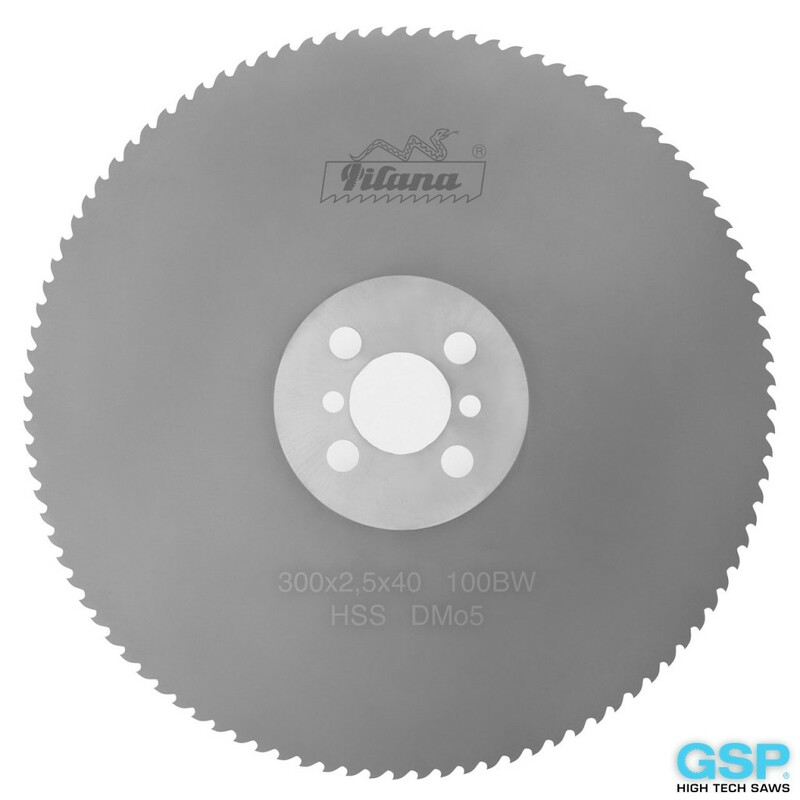 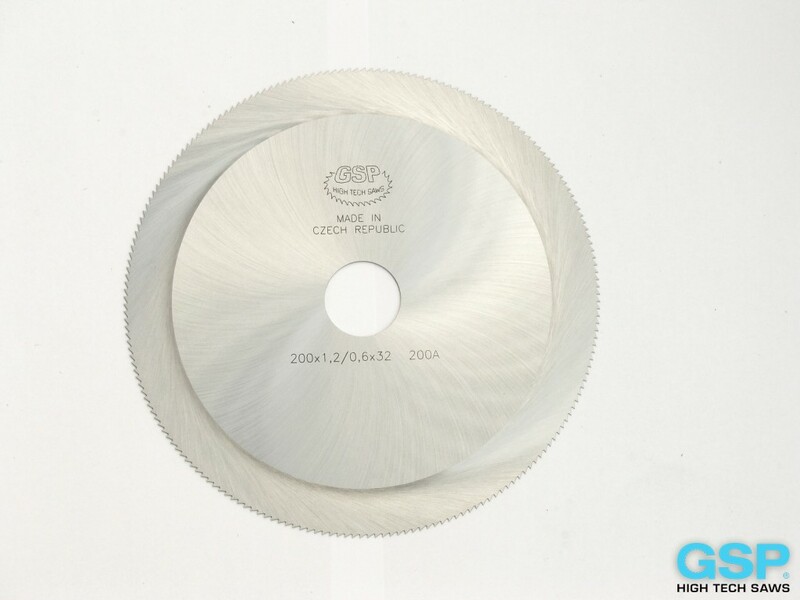 Circular saws coated by TiN (titanium-nitride) reach very high surface microhardness which enables their using for separation of material of high mechanical tenacity. 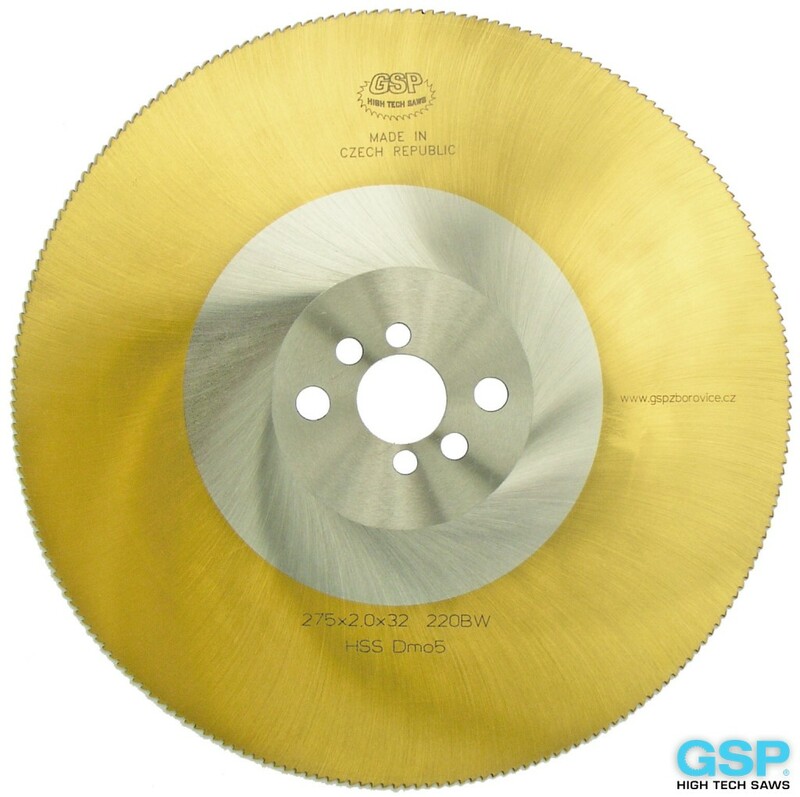 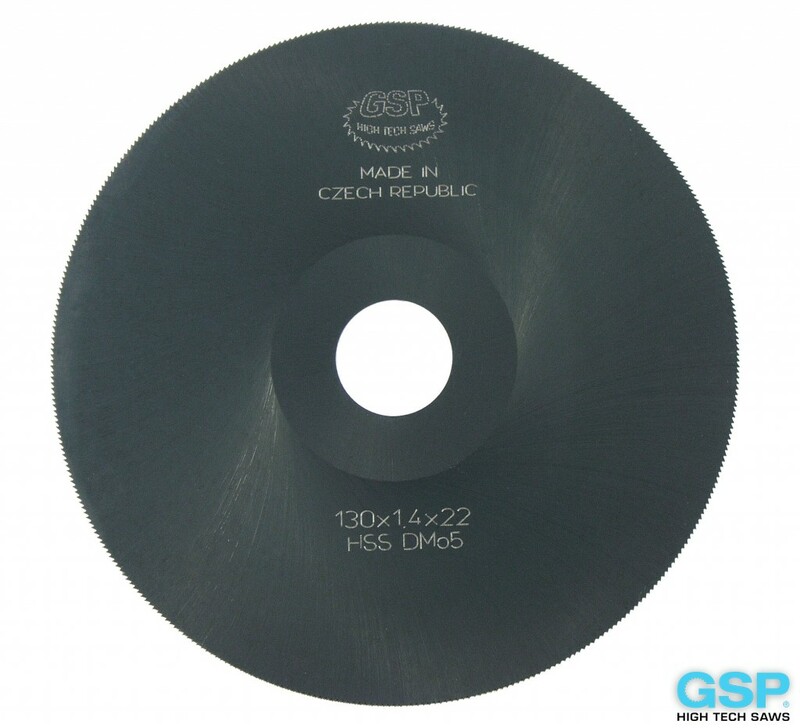 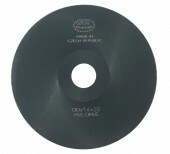 It is very suitable for cutting medium-alloyed and hard steel. 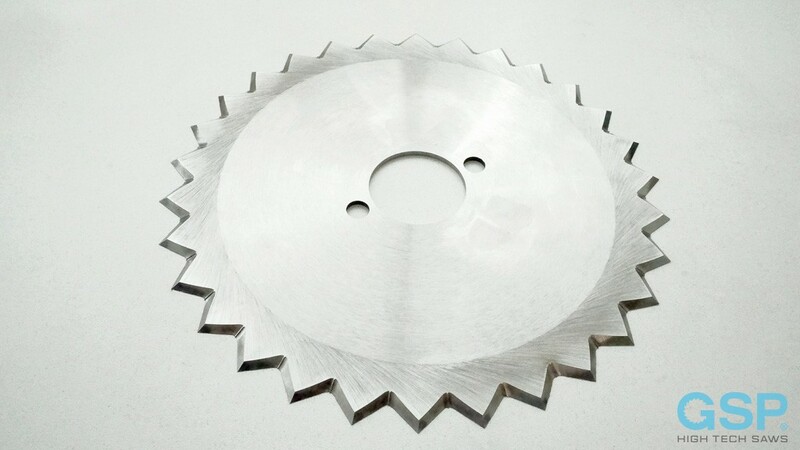 The coat characteristics enable to heighten circumferential speed and feed rate nearly by 50 % and it very shortens the time of working cycles. 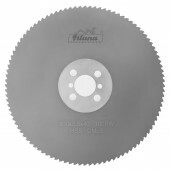 This coating with a titanium base 3 microns thick obtained at a process temperature of approximately 490°C. 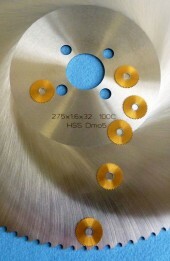 It guarantees a friction coefficient of 0,47 and an oxidation temperature of 640°C. 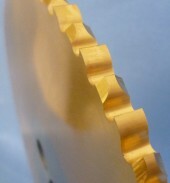 The hardness of the coated layer reaches 2.480 Vickers (HV 0,05). 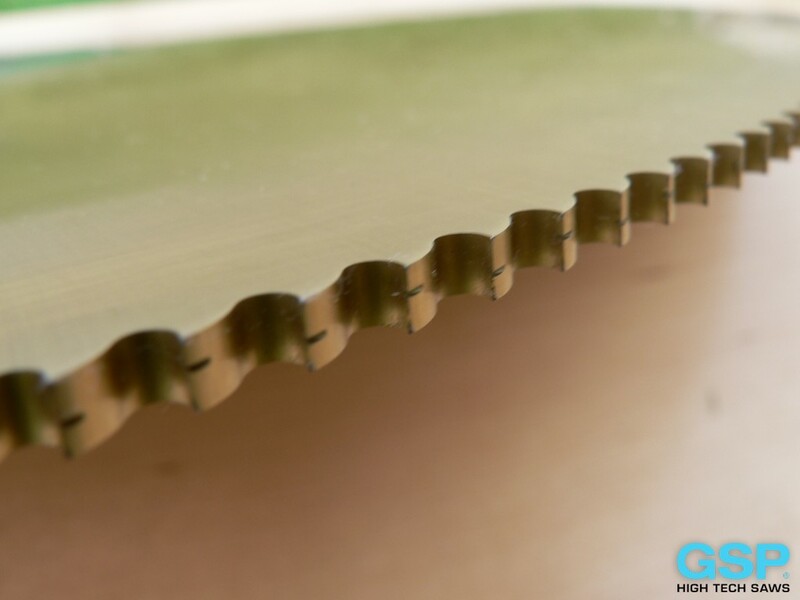 Its low thermal conductivity provides a reliable heat shield for the sublayer. 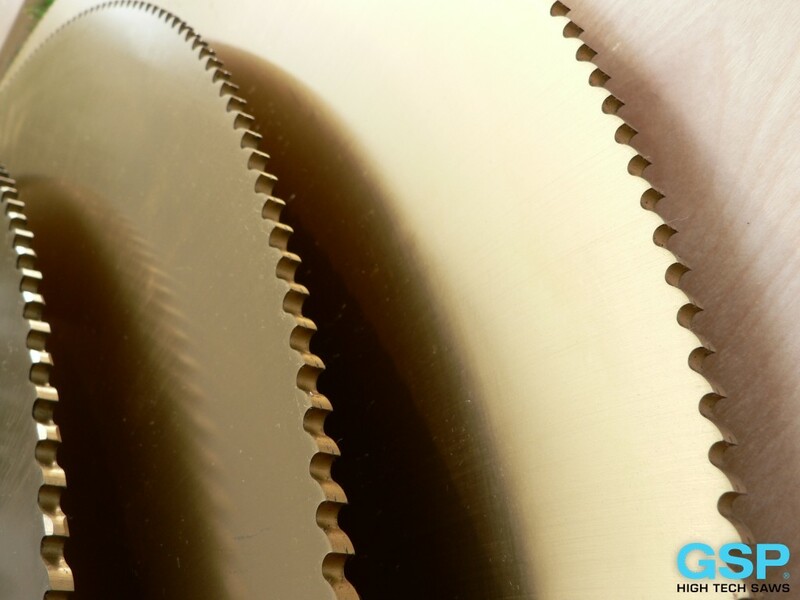 It is a coating suitable for cutting low alloy steel and must always be used with plenty of lubrication. 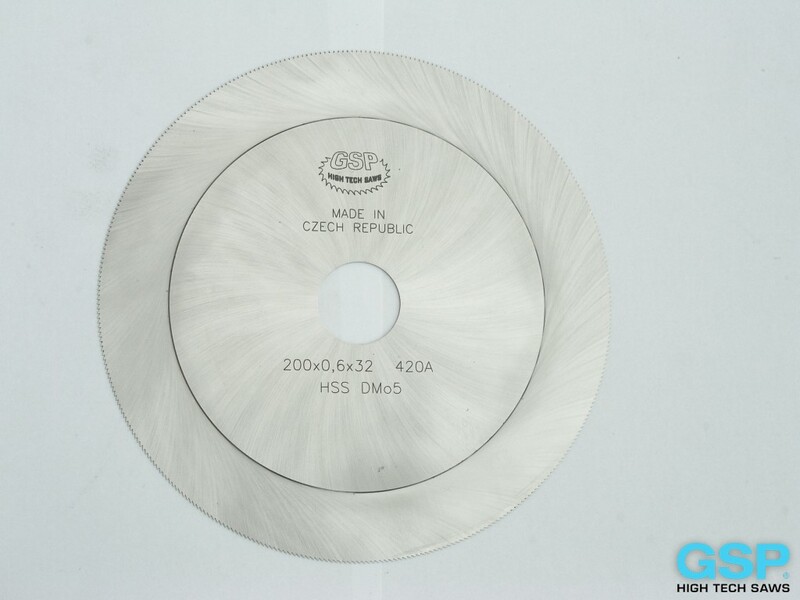 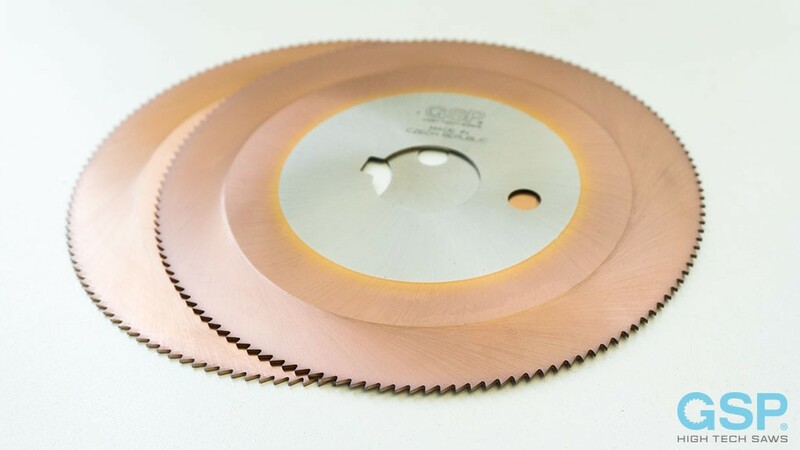 It is not suitable for cutting copper, brass or bronze. 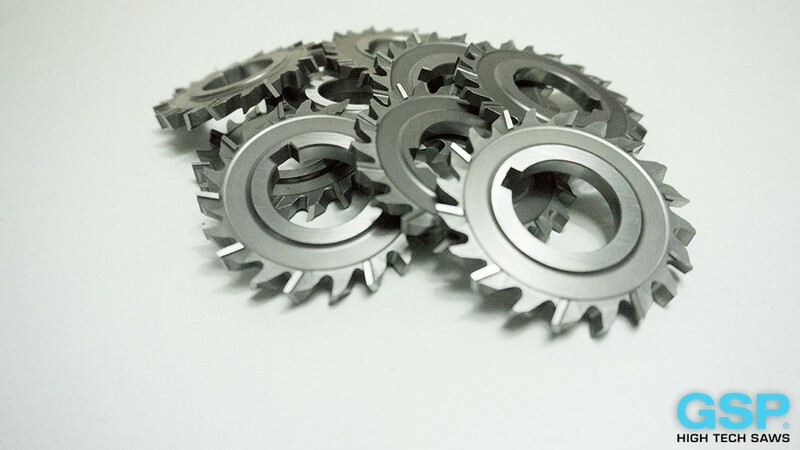 This coating is suitable for separation of materials of high strenght in traction, stainless steels and material with resistant to attritions, as are cast iron and brass. 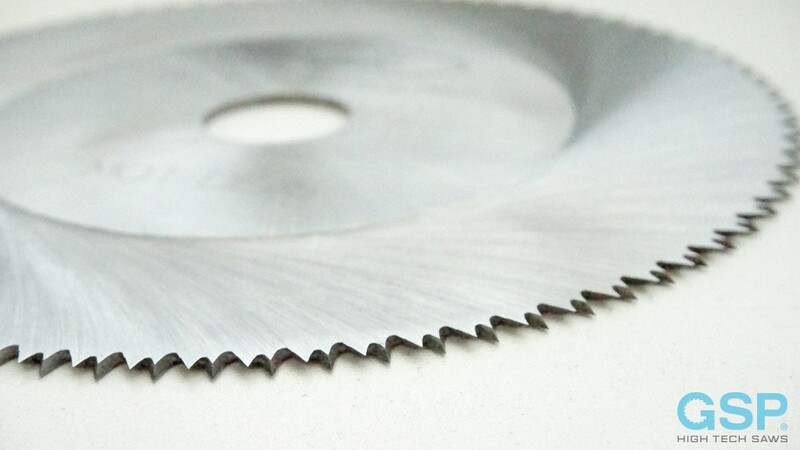 Its excellent characteristic is resistance in high work temperatures that is why it is suitable for use in dry cuts or in cuts with insufficient cooling. 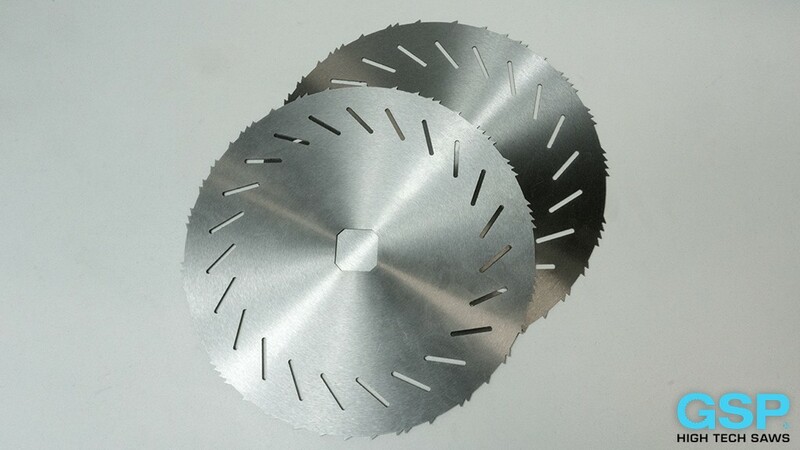 Moreover, it is very suitable for high circumferential speed. 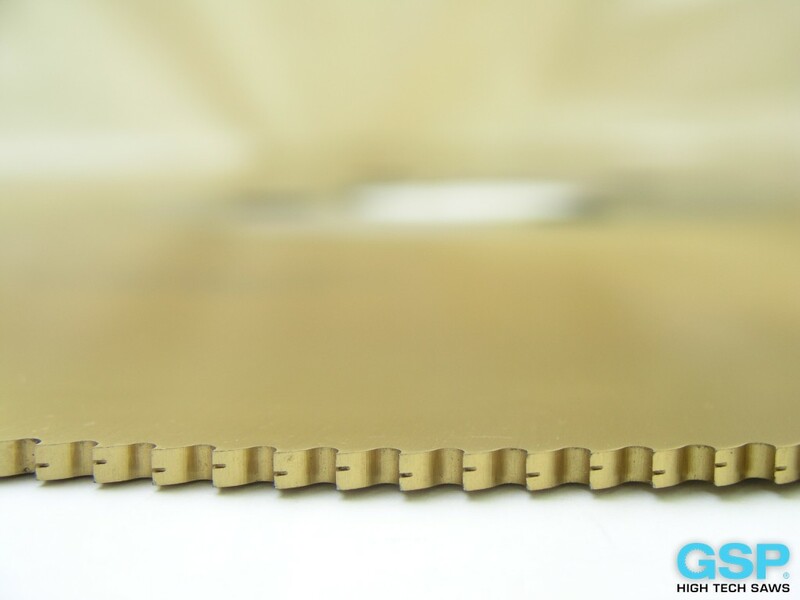 This multilayer coating is 3 microns thick. 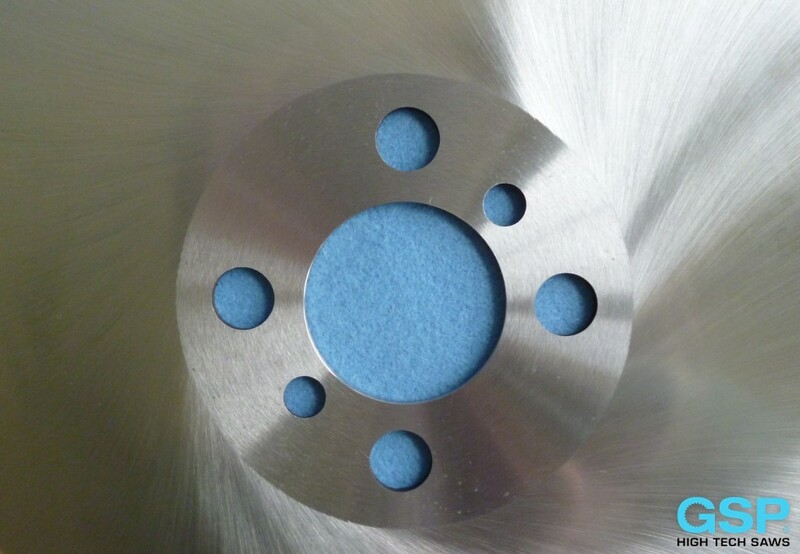 The plasma is obtained from the fusion of a titanium/aluminium cathode. 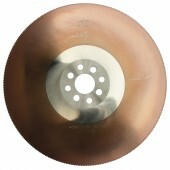 The addition of an inert gas during the process and the energy with which the molecules are loaded allow the surface to be bombarded, thereby obtaining excellent coating properties that guarantee high thermal resistance to the sublayer; it has an oxidation temperature of 800°C resulting in a surface hardness of 3.400 Vickers (HV 0,05). The friction coefficient is 0,45 and allows circular saws to be used with excellent results even in conditions of limited or minimal lubrication and misting. 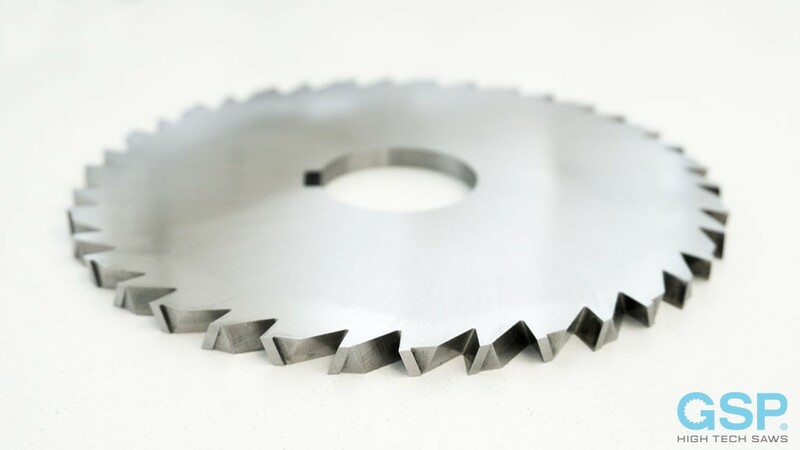 It is particularly suited to high alloy steels of up to 1100 N/mm2, cutting cast iron, stainless steel and all materials that develop considerable heat. Very low friction coefficient makes circular saw baldes with GRAYSKIN coating very suitable for cutting materials which have strong tendency for being stuck on tool sides, it means brass, copper and alluminium alloys. The possibility of coating tools in stronger layers from 2,5 microns thick up to the thickness 7"m is its next advantage. 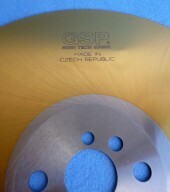 It is made by means of a plasma of titanium and carbon that increases the hardness to 3.000 Vickers (HV 0,05). The friction coefficient 0,22 is very low due to the high carbon content. 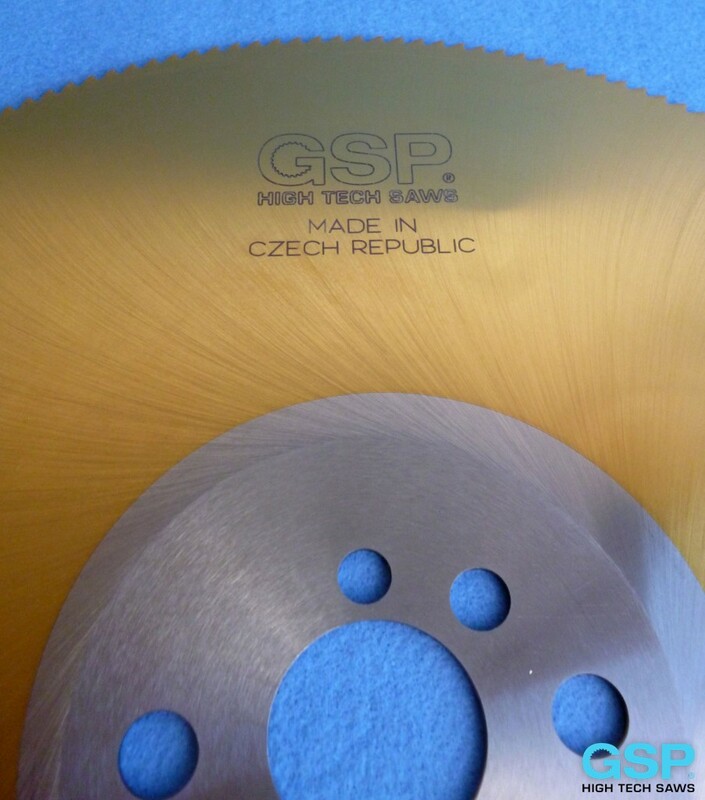 This makes it very suitable for cutting highly abrasive materials such as stainless steel and medium alloyed steels with a hardness of up to 800 N/mm2. 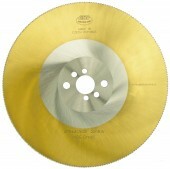 The low friction coefficient considerably reduces chipping at the cutting edge and the disc sidewall. 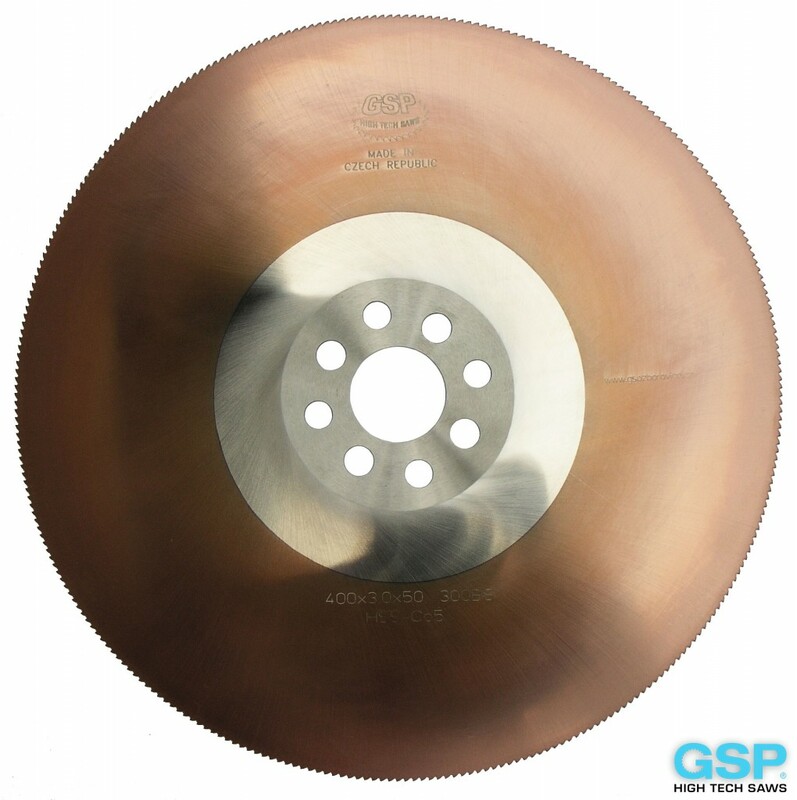 This coating has an oxidation temperature of 400°C and should always be used with plenty of lubrication during the cutting process.